First of all, your lucky to have a job like that. I have a mortising machine, and a tenon cutter for the table saw. 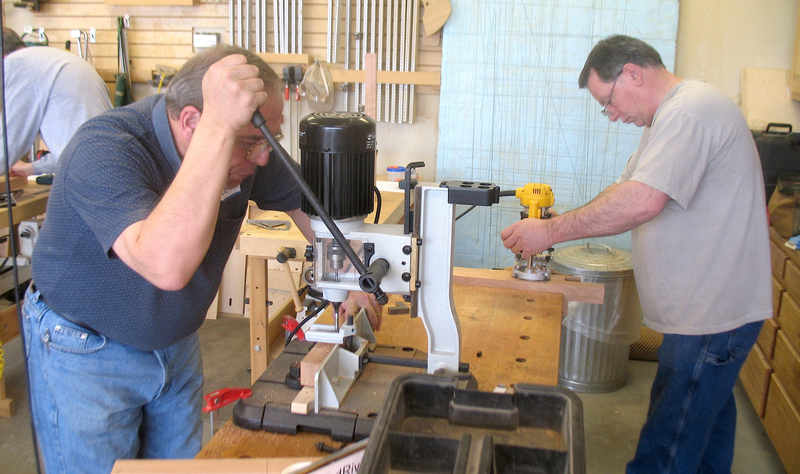 I use a bench top mortiser, modified with a cross sliding vise to hold the work. The micro adjustments possible with the vise make for very precise placement. I also have a foot powered 1876 mortiser but its footprint is big so I keep that at a local museum for demonstrations. I rarely use my bench top mortiser, preferring the router with a shop made mortising jig. I use the drill press to take out most of it and a chisel for the rest. I use a bench top mortiser. Works quite well. By the way, Glen, (re: 18th Cent. New England Secretary project) Rockler no longer handles the “Prospect Box” lock set. What do you suggest? I ordered everything else as per your list in the book and am expecting it to arrive shortly. Bench mortiser. Seems easiest to setup. Takes a little cleanup with a chisel though. Seems like it’s 6 of one and half a dozen of the other. Hi Glen I do most of my mortising with the router,I don’t think there is a smoother finish out there and very accurate. 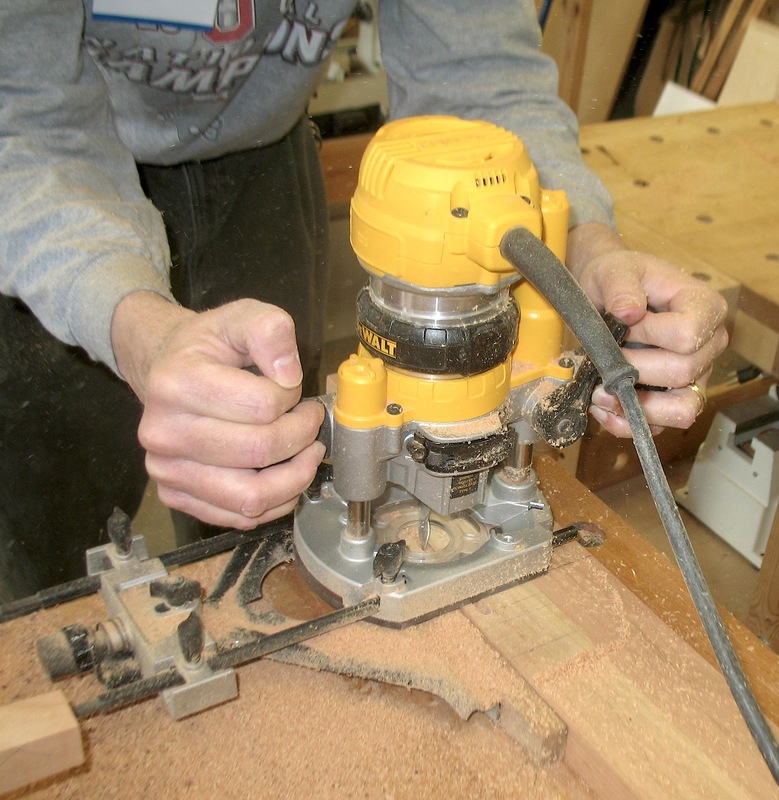 Hi Glen, I use a Powermatic bench top model 701 (a great unit but heavy) and I also use a Bill Hylton designed jig for loose tenon joinery that I made out of maple and adjusted the design to fit my router. This jig works great for mortises.